Up On Tippy Toes: Happy Everything! It's been a long month and I'm finally getting back to my normal crafting routine. 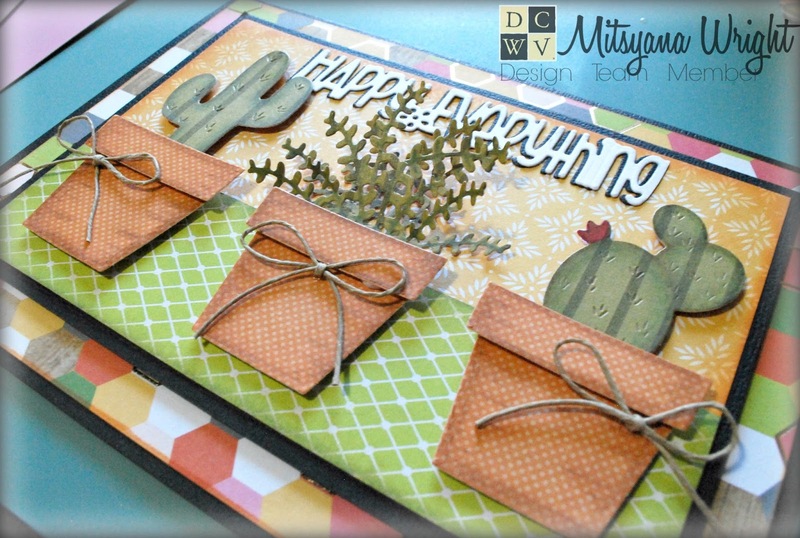 So I decided to perk things up with a bright and cheerful card with lots of warm colors. We've had nasty weather off and on here in Texas and I wanted to make something "HAPPY"!! It is full with lots of bright colors, florals (not much flowers blooming around here lately), and lots of fun and whimsical patterns! 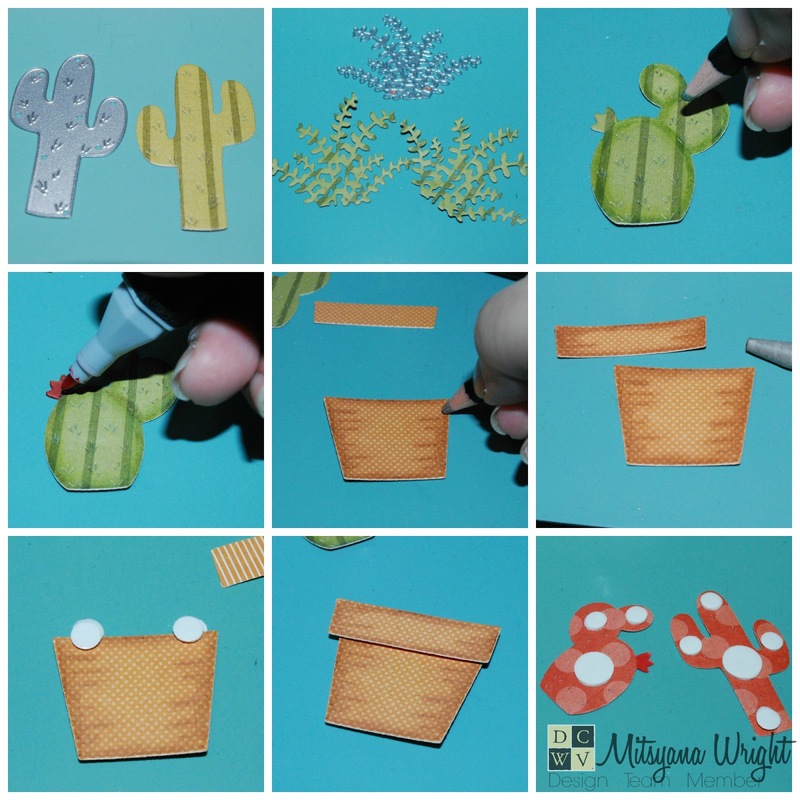 I started of by die cutting these adorable cacti out of green striped paper from DCWV's Autumn Leaves Mini Stack. 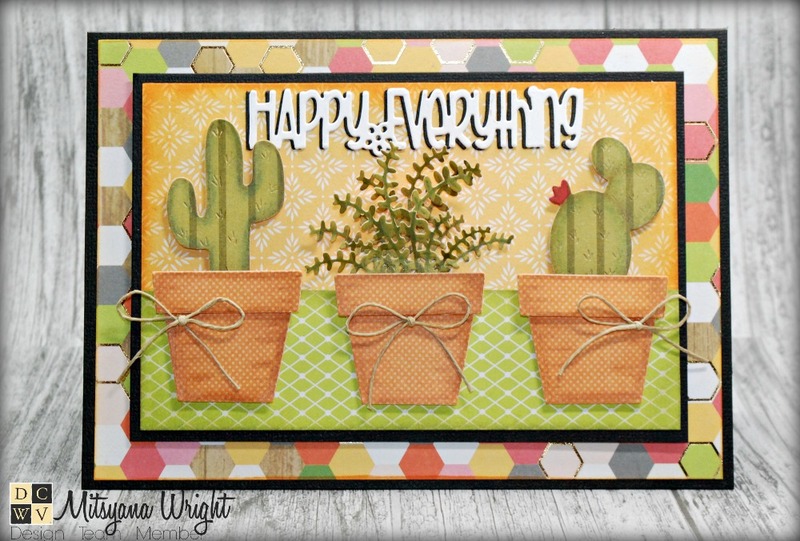 I used the same striped paper for all three types of cacti. 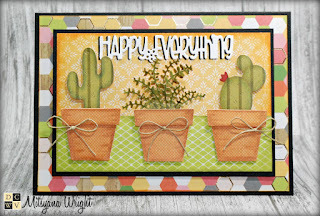 I die cut one each of the prickly cacti and two of the leafy. 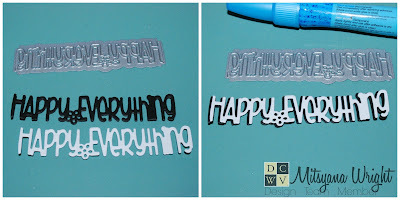 Instead of inking my edges I used color pencils and a blending solution to add depth to my die-cuts. These papers are very high quality and didn't smudge, run, or warp while I did this technique. I also shaded the die cut pots as well. outlining first with color pencil then going over and blending with the blending solution (aka- odorless mineral spirits). I added foam adhesive dots to make the lips of the pots pop. Then added foam adhesive to the back of the cacti as well to make them three dimensional. Next, I worked on the card base. I started with these premade A7 Black Cards. Then I matted it using this colorful honeycomb paper from the Hello Darlin Stack. 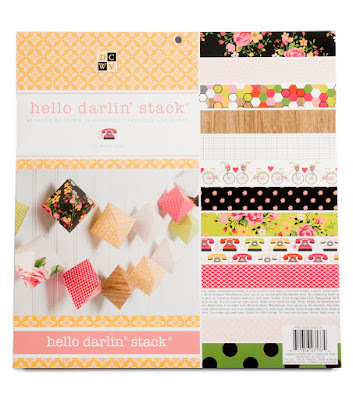 It was one of the sheets from this stack that immediately grabbed my attention. It is so bright and playful! If that doesn't just scream HAPPY I don't know what does!! In this same stack I also found this sunny yellow paper and a fresh green paper that went together beautifully! 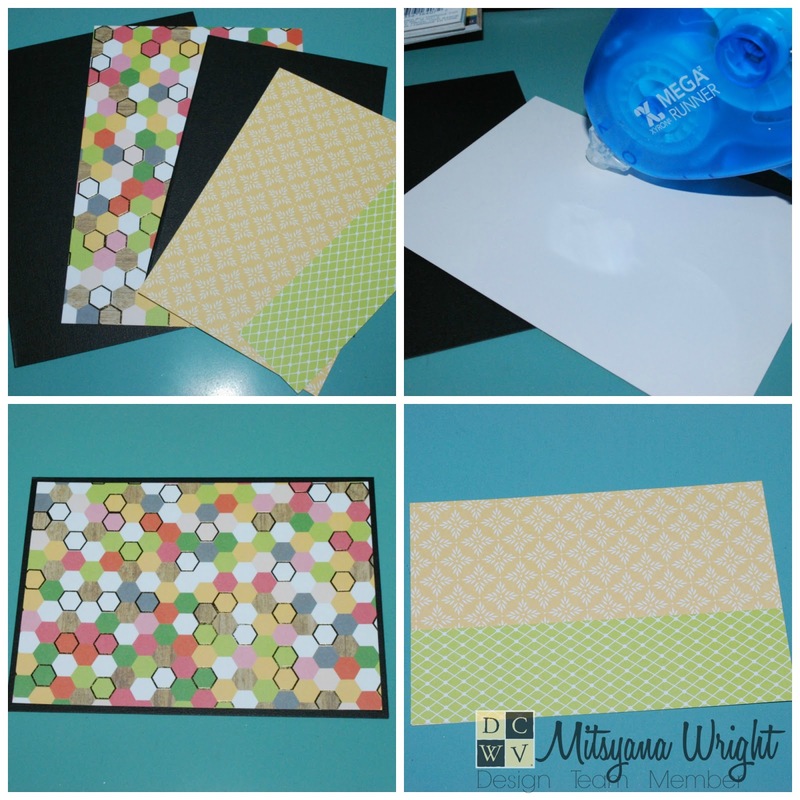 Honeycomb: at 4-3/4" x 6-3/4"
Black mat: 4" x 6"
I shade the edges of the yellow and green papers. Then used my Xyron Mega Runner to layer the all together. 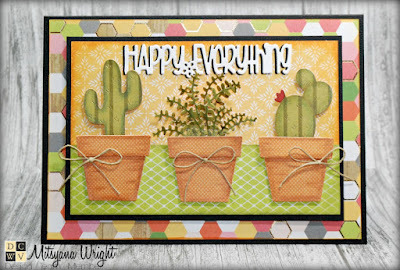 I thought this "Happy Everything" sentiment drop-ins die went perfectly with the HAPPY feel of my card. So I cut out two copies of this die cut, one in black and one in white. Then used a glue pen and attached them together, shifting it slightly to make the black look like a shadow. 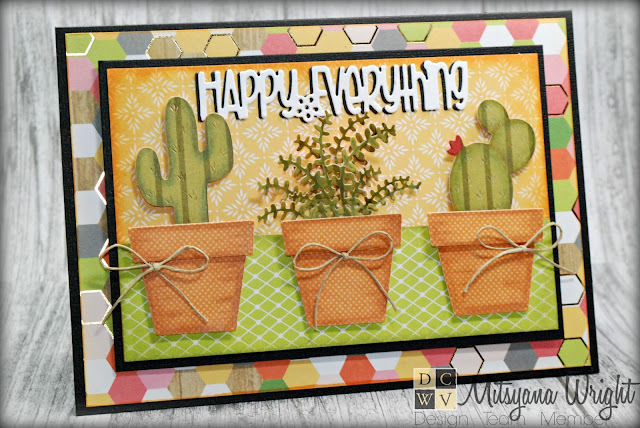 I attached all my die cuts to my card front and pulled my little leafy plant stem forward for added dimension. Lastly, I attached little bows of twine to the front of each pot. I really love how this card turned out! And it really does make me HAPPY just looking at it. And this was an awesome start to what I know is going to be an awesome week! Hope you all find your HAPPY. Mine was in my craft room!! 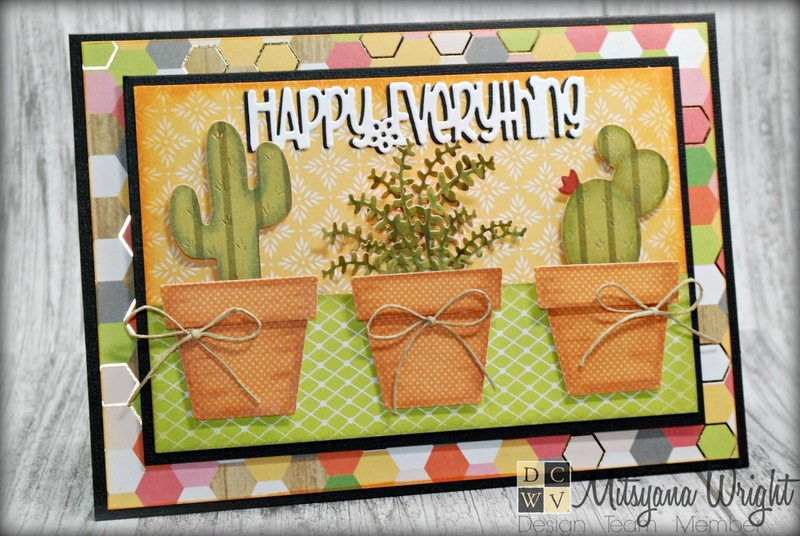 It is a bright and happy card! I love all the shading you did to give the images so much depth. Gorgeous, and it did make me smile!